31 days from now, I will be leaving to head to the west coast, to California, to see my partner-in-crime as well as other friends, and to go on tour! In some ways, I can’t really believe it!!! It has been so long since I have seen a full show that part of me started to feel like it was normal to not tour. I started to believe that I would never tour again. Even after buying tickets to shows, part of me doubted that it was going to happen. Like the album, even with ticket confirmations in my email inbox, I could ignore and put the tour on the back burner. Yesterday, though, it hit me. It really hit me. I’m going on tour soon! What caused this?! Simple! 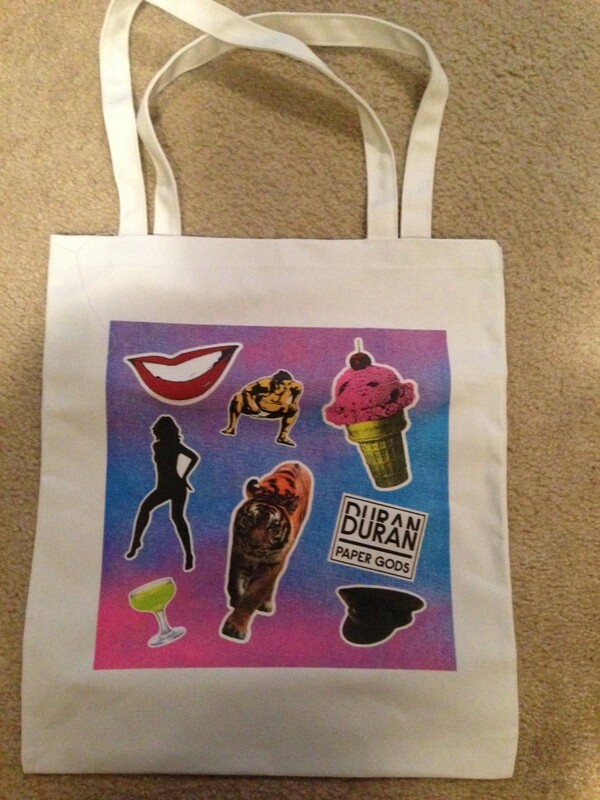 The merchandise for the VIP package arrived!!! 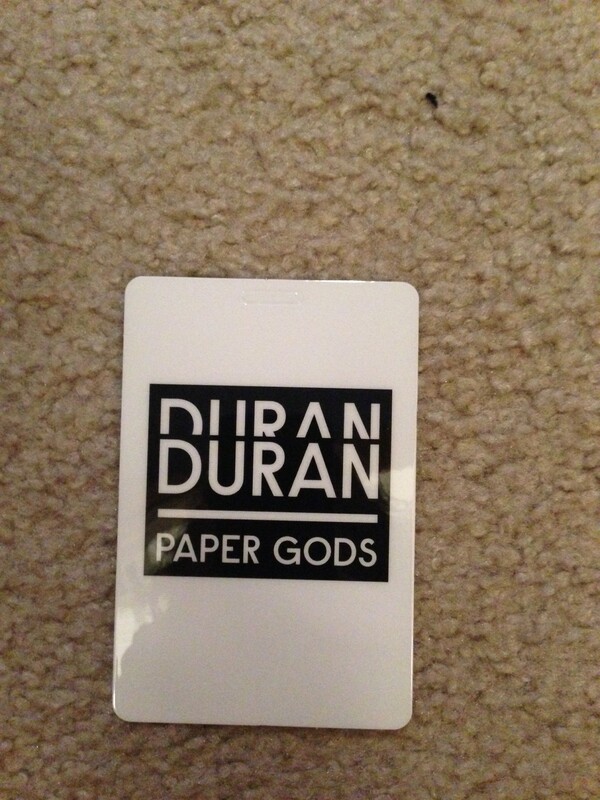 It felt like Duran Christmas or a birthday (or a pretty view!). 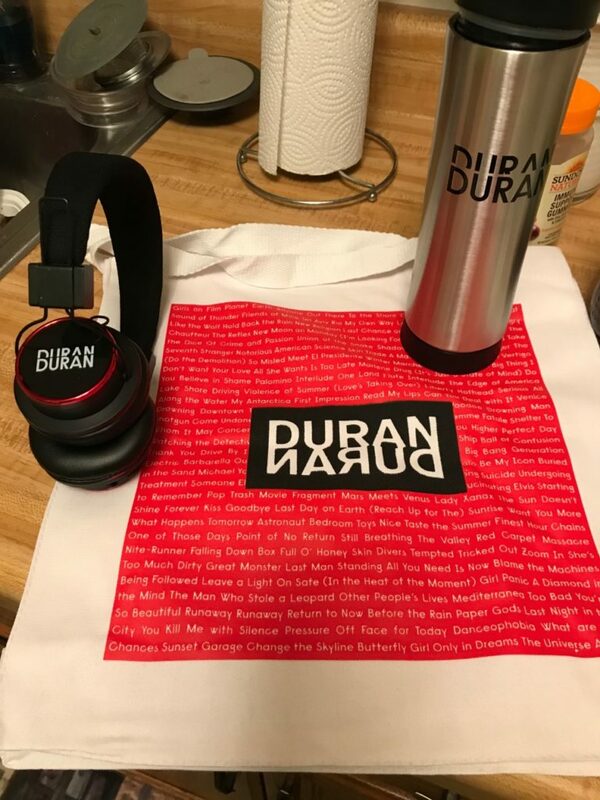 Who doesn’t love opening up packages with Duran stuff in it?! That said, I thought people might be curious as to what I thought about what we got! 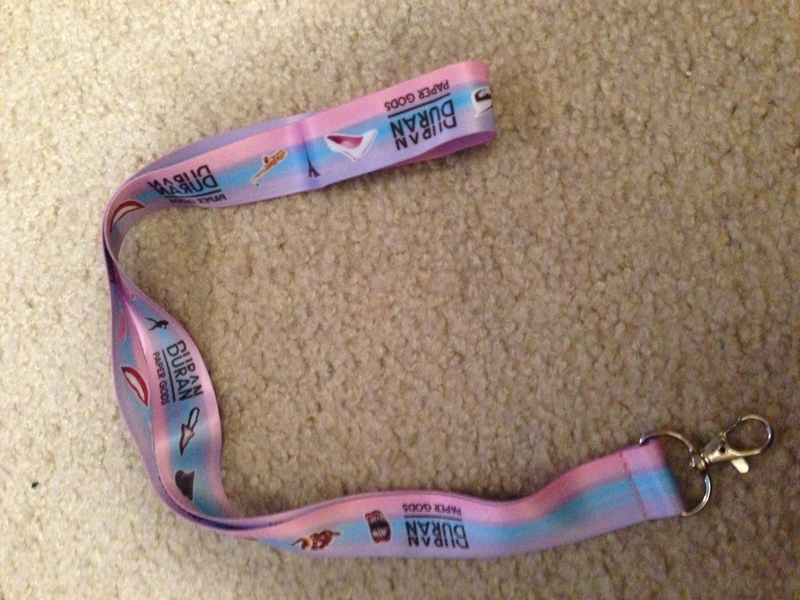 The VIP package contains 4 items: tote bag, t-shirt, laminate, and lanyard. 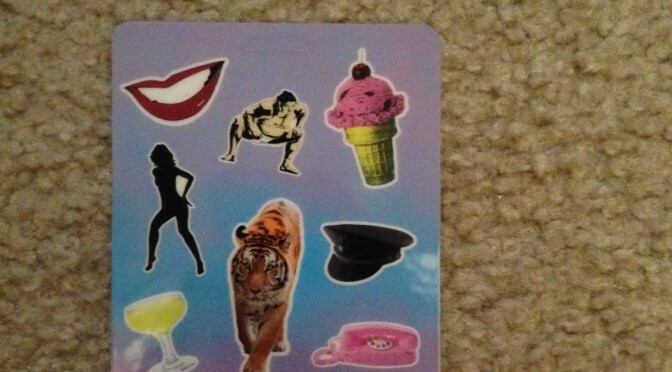 3 of the 4 items were very focused on Paper Gods with the album cover theme. The t-shirt was not. So, what do I think of each item and the package as a whole? 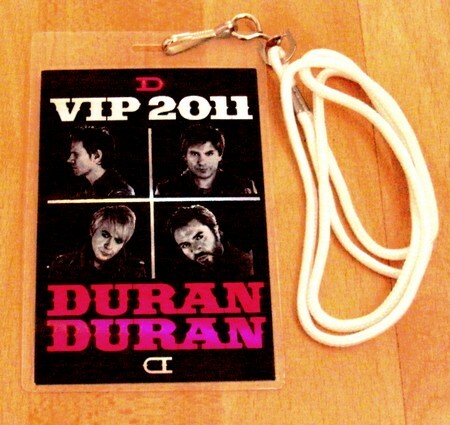 In case, you don’t know what I’m talking about, a laminate is like my work id card that is worn to show, to indicate one’s status as a VIP. 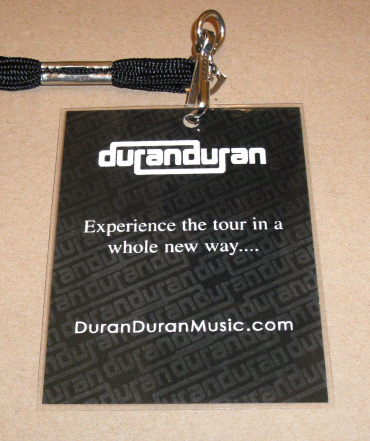 In the past, Duran has included these in their tours as well. Yet, there has been a varying degree of quality. For example, for the Astronaut tour, it appeared that the laminate was created with a piece of paper and a simple laminating machine. For the All You Need Is Now tour, they appeared a little more professional. This time around, clearly, they are even better!! In this case, there is no plastic shown at all. It looks very professional! I’m impressed! The only thing that could have improved them would be to add the location and date on it. Clearly, yes, these are universal, which is fine, but I wouldn’t mind the reminder of when and where I went VIP to a show. 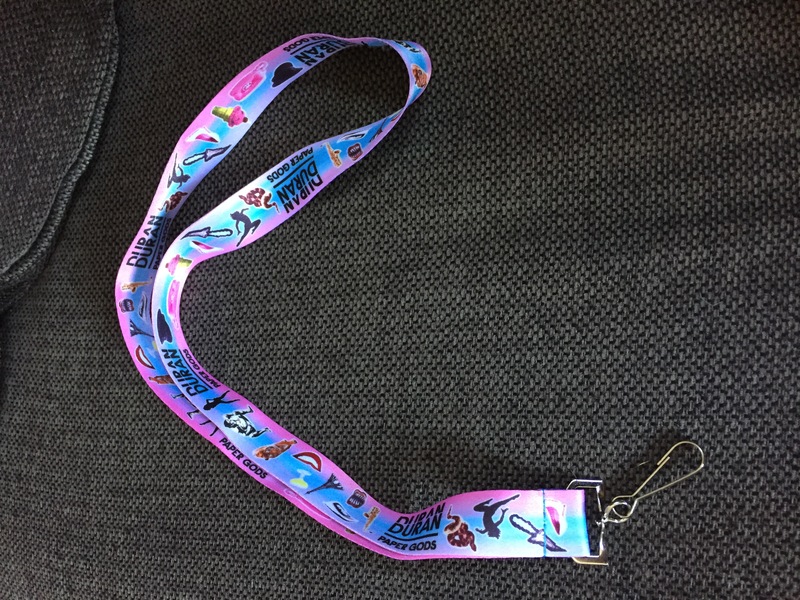 If you look at the first two pictures above, you can see what the lanyards looked like for previous VIP packages. Basically, they were like shoestrings that had a fasten at the end to attach to the laminate. 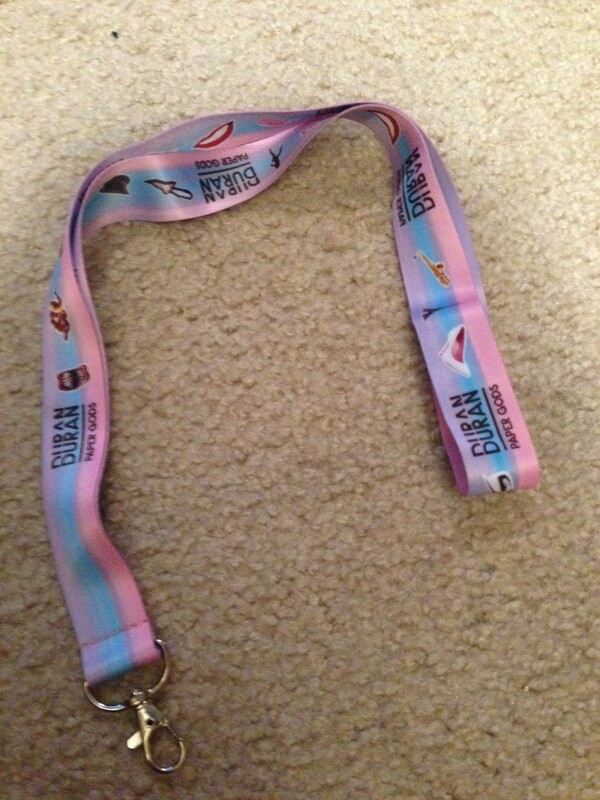 In the case of the first one, the lanyard was black and, in the case of the second one, it was white. Both were fine, in my opinion. I would not have even thought about how to improve this part of the package before I saw the one sent for this one! 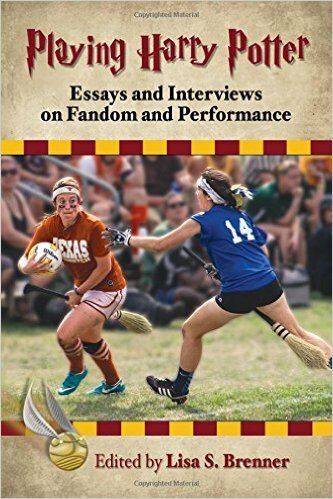 This is NOT just a shoestring, by any stretch of the imagination. 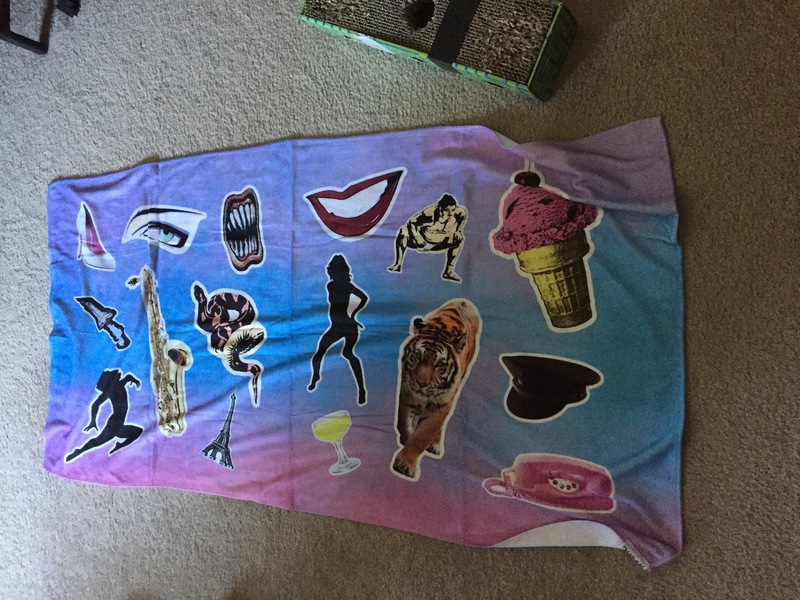 No, it is silk like material and very obviously displays the color scheme of the album along with the stickers and logo. It truly goes along perfectly with the laminate. I’m impressed. How many of you use tote bags? I do. I use them a lot. I use them at the grocery store or places like Target all the time. I’m one of those people who want to carry all of my packages in at one time and tote bags make this much easier for me. Thus, I have a collection. I even have a Daily Duranie one. (You can, too! Visit our Cafe Press page here to get one for yourself!) 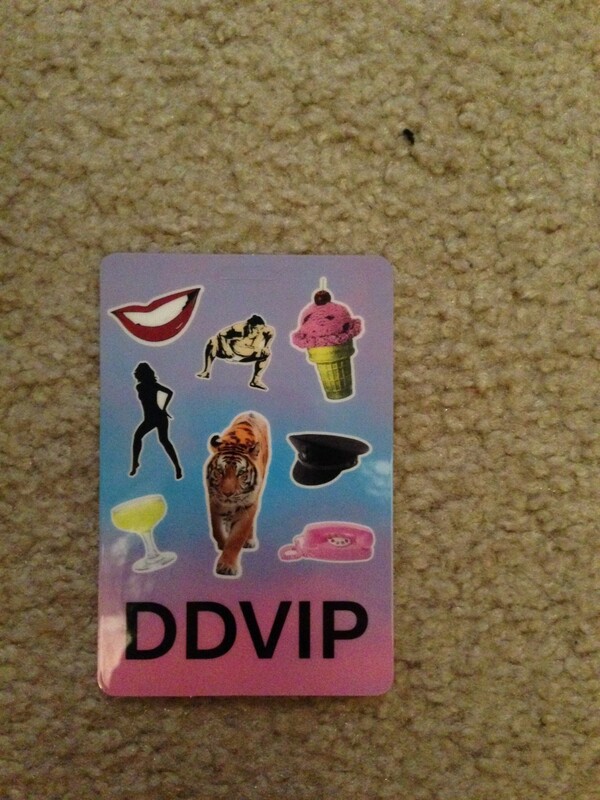 Anyway, I was excited by the one that came with the VIP package. Again, it captures the album art well and the image is sharp. I could almost see discussions take place as people want to know what the various pictures represent. I also appreciated that it was of good quality. While it isn’t super huge, it can hold some weight as it isn’t paper thin (ha!). 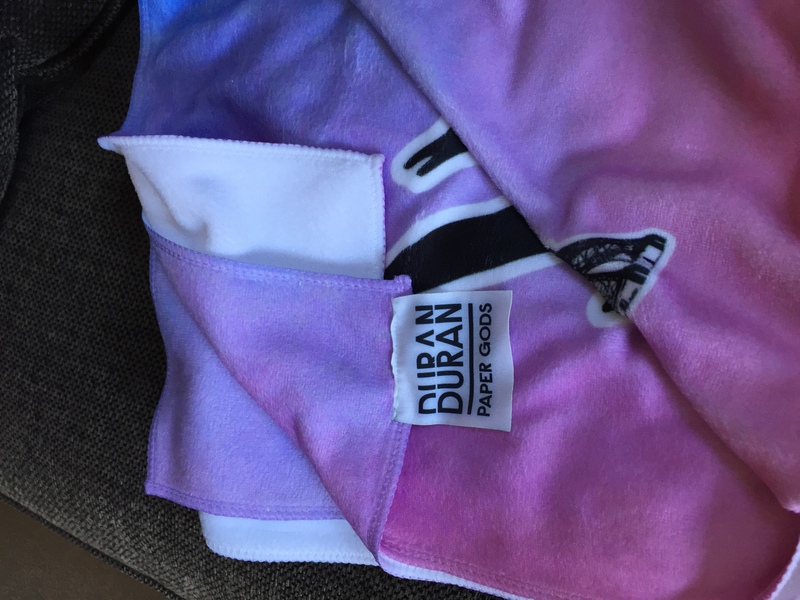 I am a sucker for all things Duran, in terms of merchandise. I won’t lie. 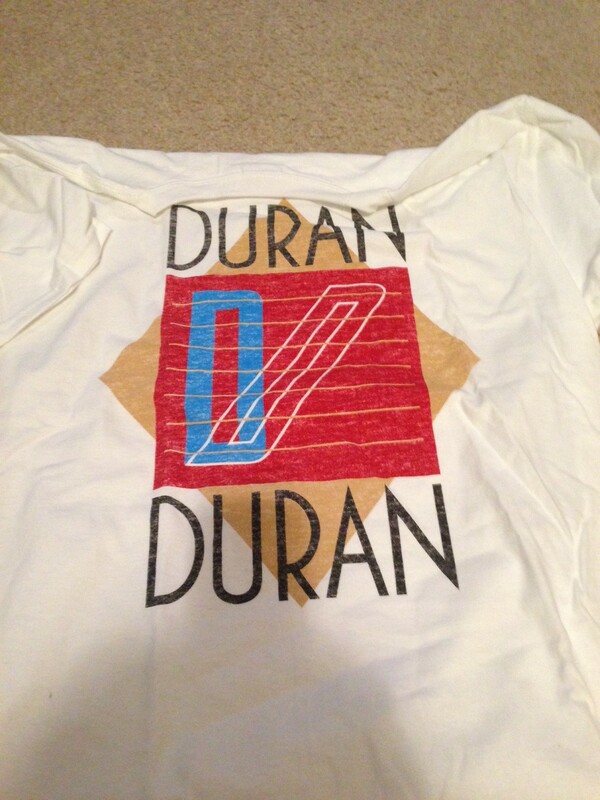 I’m an easy sell, which is why I have a ton of Duran t-shirts. I stopped counting how many because I fear that I crossed the line into ridiculousness. That said, I couldn’t wait to see what the t-shirt for this tour was going to be like. In the recent past, it was the Careless Memories single cover or the logo from the first album. Thus, it has typically been more retro in content. This one is no different. Obviously, this t-shirt is focused more on the Is There Something I Should Know/Seven and the Ragged Tiger/1983 era Duran, style wise. I loved that logo. I still love that logo. I don’t have much with it so I welcome that. That said, I was really thrown by the colors here. Those aren’t the colors I think of when I think 1983, at least not all together like this. Then, the colors seem so off when I think about the current palette. The blue works but the red? The brown-orange? I think what they should have done instead is use the retro logo but combine it with the current colors. After all, the album cover features new and old. On a different note, the t-shirts seem maybe slightly on the big side, size wise. That isn’t necessarily bad, just something I observed.